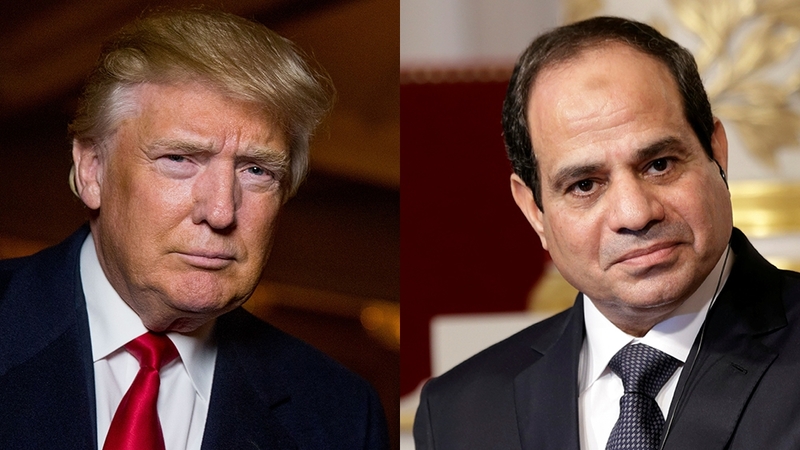 President Abdel Fattah al-Sisi spoke to United States president Donald Trump during a phone call on Friday to discuss the ongoing Qatar crisis and the urgent need for unity in the Gulf, reported a senior White House official. In his fourth call with a leader in the region since multiple Gulf nations severed ties with Qatar last Monday, Trump discussed the desire for unity in the region under the condition that Qatar improves it diplomatic behaviour. Trump was familiarised with various Gulf leaders throughout his first trip abroad as President, during which he stopped in Saudi Arabia and participated in a Gulf Cooperation Council summit. On Monday, Egypt, the United Arab Emirates, Bahrain, and Saudi Arabia severed ties with Qatar over accusations that the Gulf nation supports extremist Islamist organisations, and has deepened ties with Iran. Rex Tillerson, the U.S. Secretary of State, attempted to alleviate the dispute Friday by encouraging countries to lessen the full blockade of Qatar, whilst continuing to agree that the nation needs to address the concerns brought up by its neighbours regarding the financing of terrorist groups. “I call on the Kingdom of Saudi Arabia, the United Arab Emirates, Bahrain and Egypt to ease the blockade against Qatar,” said Tillerson during a brief speech in the State Department.